Softshell jackets are a necessary item when it comes to properly practicing sports or outdoor activities. We have written about this topic before in our articles on softshell jackets from Geographical Norway, a well-known brand when it comes to sports clothes. We didn’t just focus on the brand itself, but also discussed the importance and qualities of a softshell jacket and how it can be a great addition to your sport gear, while also mentioning different sports for which softshells are a must. Therefore, you can make an informed decision when it comes to any brand you might come across. While there are many brands out there and hundreds of designs, features and styles, a basic softshell jacket should have several basic criteria, to qualify as a quality jacket. These include: durability, waterproof and windproof material, being lightweight and highly breathable. Such features vary from jacket to jacket, so keep them in mind when checking the specifics of a softshell jacket. In this article, we are introducing you to another brand, with high quality softshell jackets and several designs, to help you make an easier and better choice for your preferences. 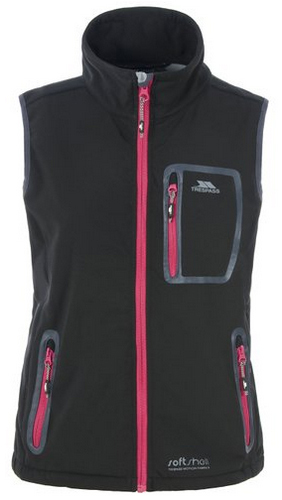 It’s the Trespass brand, from which we have selected several softshells, for both women and men. Let’s get right into it, with the men’s jackets. The Strathy softshell for men, is a long sleeved jacket, which is made of 94% Polyester and 6% spandex and TPU membrane. 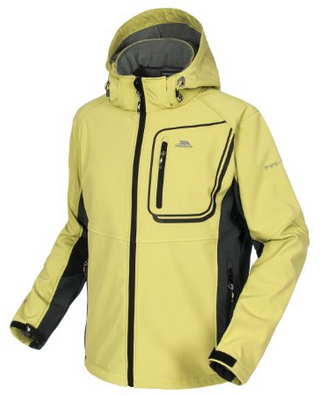 This is a very durable jacket as well as waterproof, wind resistant and highly breathable. There are Velcro adjustable cuffs and taped seams, for insulation, so you won’t get cold or lose heat while wearing this jacket. There’s chin protection on the zipper and a detachable hood, which can be adjusted using the drawstrings. There are three pockets on the outside and four color choices: Blue, Yellow, Red and Black. 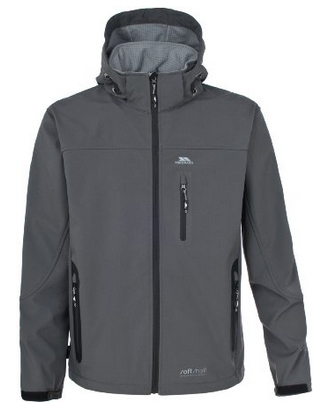 This next jacket is the Kender softshell, a jacket which comes in two colors: Grey and Black. It comes with a zipper-removable hood, adjustable with drawstrings. There are four outer pockets, two on the sides, one on the chest and the last one on the left sleeve. There is also an inner pocket, with an earphone opening, so you can listen to your favorite music while exercising. 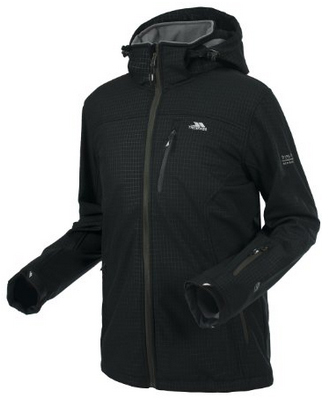 This is a waterproof jacket, as well as wind resistant and highly breathable. It is very lightweight and comes with an inner fleece lining, to ensure that you remain warm throughout your activity, no matter the weather. There are also Velcro adjustable cuffs and a chin protector, like in the previous jacket. This jacket is the Chimborazo model. It is a sleeveless jacket, kind of like a vest / gilet. It is made of high quality wind resistant and waterproof material, with a high collar, and a covered zipper at the top, to protect the chin. There are three pockets on the outside, two on both sides and on the left chest. It closes up with a zipper, as do the pockets. The inner material is porous, which makes this jacket very breathable. There are three colors to choose from: Black and two shades of blue, the Ultramarine and Marine. The last one in our men’s section for this article, is the Accelerator jacket. It is made of 94% Polyester and 6% Spandex, with a Tres-tex membrane, making it a water repellent jacket, highly breathable while all the while being very lightweight. It comes with a detachable hood, inner lining for proper insulation, which is aided by the Velcro on the cuffs and high collar. There are three zipper pockets on the outside and chin protector on the main zipper. 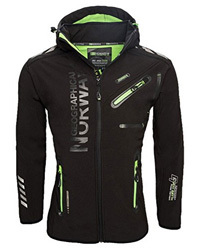 This is a jacket suitable for many different sports, due to the design of it, which allows for maximum mobility, without the jacket causing any restraints. There are three colors available: Grey, Black and Dark navy. 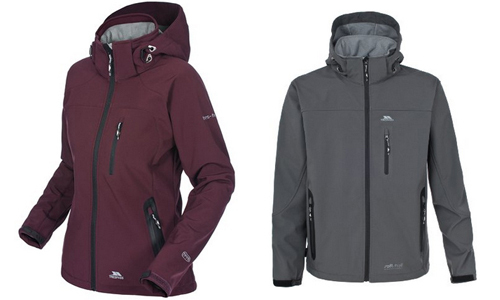 On to the softshell jackets for women, we are introducing the Bela jacket. True to its name, this is a beauty to look at. It is a slim fit, highlighting feminine features, while ensuring comfort and quality. 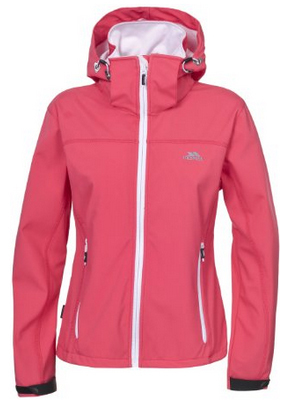 It is a wind resistant and waterproof jacket made of 100% Polyester, both on the inside and outside. There is a detachable hood, with drawstrings for proper adjustment. The cuffs are adjusted with Velcro and there are three pockets on the outside. The zipper comes with chin protector and goes all the way up the high collar. 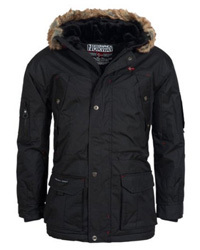 This is a well insulated jacket, with the inner lining providing protection against the lower temperatures. There are three colors available, which include: Maroon, Black and Purple. 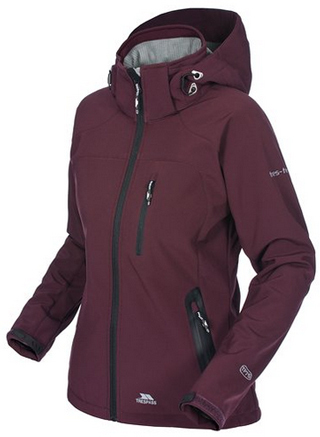 The Abelia jacket is a softshell ski jacket. It is a bit more insulated and heavily lined for additional warmth, but nonetheless, it’s very lightweight. The material is waterproof, with taped seams to protect against the snow and comes with the Tres-Tex membrane. 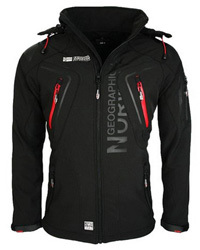 It comes with a removable hood and Velcro on the cuffs, as well as with a high collar, all ensuring maximum insulation. As for the pockets, this is a minimalist jacket, with just two zipper pockets on the sides. There are three color options: Coral blush, Black iris and Cornflower. Just like the sleeveless jacket for men, this is the women’s version. 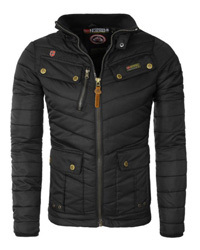 This jacket is made of 100% Polyester, with an inner lining made of Polyester as well. There is chin protector on the collar, where the zipper ends, and there are also three zipper pockets on the outside of the jacket. 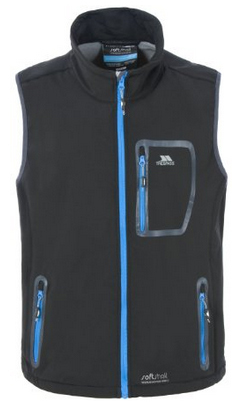 It is wind resistant and waterproof, with porous material for breathability. There are drawstrings on the collar for proper adjustment and insulation. The colors available for this model are: Black, Coral and Blue (Cornflower). 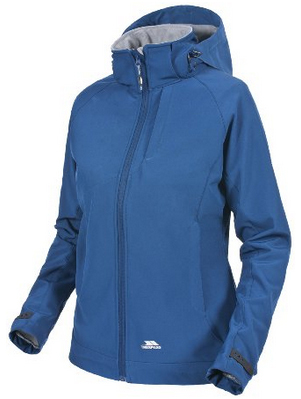 We’ve come to the last jacket in this selection, and it’s the Hannys softshell for women. This is a highly waterproof jacket, just like the previous ones, with a high collar and removable hood. The cuffs are adjusted with Velcro, but with a different design than the previous jackets. The zipper pockets on this jacket, unlike the previous ones, are covered with flaps. It is made of 94% Polyester and 6% spandex, with TPU membrane. This design comes only in the color named Twilight, which is a shade of blue.